Their ability to trap and remove dust, dirt, and bacteria, make microfiber mops the perfect solutions for cleaning any surface in your business. If you believe that your ordinary mops and towels are enough to keep your business clean, they may not be working as well on your surfaces they appear to be. If you are looking to thoroughly clean every surface in your restaurant or store, as well as maintain a green initiative for your business, look no further than microfiber mops and towels for all of your cleaning needs. Their ability to trap and remove dust, dirt, and bacteria, make microfiber mops the perfect solutions for cleaning any surface in your business. Because there is no need for cleaning products with harsh chemicals, microfiber mops and towels are proven to be a healthier and more cost-efficient cleaning option for both homes and businesses alike. Microfiber cleaning products are also great for dust control in your business, especially in areas with high foot traffic. The efficiency of cleaning over traditional cotton mops also makes microfiber a more sustainable cleaning option for your business. Their ability to thoroughly clean a surface with only their material allows microfiber mops to rely on significantly less water and cleaning products than what you may be accustomed to with a traditional mop. Many microfiber cleaning products do not require the use of any chemicals for cleaning, which makes them especially ideal for medical facilities or restaurants where harsh fumes released by cleaning products could be particularly harmful to individuals in the facility. 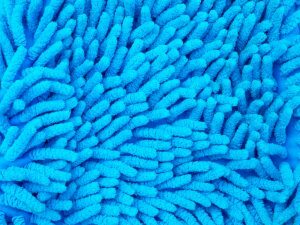 When you rent or buy your microfiber cleaning products with Lord Baltimore, we handle the organization and sanitation, including color-coded wet mops to prevent cross-contamination, dust mops, and surface dusting cloths. Additionally, we also supply your business with hysorb mops as needed for heavy-duty cleanup. Our professional cleaning service for your microfiber materials is an excellent means of infection control for your business, providing you with freshly laundered microfiber materials and eliminating the issue of cross-contamination that is often caused by ordinary mops. This entry was posted on Friday, April 27th, 2018	at 3:16 pm	. You can follow any responses to this entry through the RSS 2.0	feed. Both comments and pings are currently closed.